BlackBerry OS 10: Enough to save RIM? Recently, CrackBerry published a few images of Research In Motion’s upcoming BlackBerry 10 operating system. No doubt, the photos show RIM has borrowed a number of user interface elements from other mobile operating systems such as Windows Phone, Android and iOS. The big question is whether or not the changes are enough to swing RIM’s declining U.S. market share back into gear. RIM’s market share in the United States has continued to plummet the past several quarters and, according to comScore’s latest reports, the Waterloo, Canada-based phone maker currently owns just 16% of the U.S. smartphone market. By contrast, RIM’s competitors, Apple and Google, have continued to see growth in the U.S.; Apple has a 29.6% share of the U.S. smartphone market while Google’s grip is steady at 47.3%. No doubt, the images revealed yesterday suggest that RIM believes that certain features available in other popular operating systems, such as video calling, widgets, improved folders and active homescreen icons, will be enough to make its operating system successful. While RIM’s new CEO, Thorsten Heins, has suggested that his company promotes “creativity, innovation and free thinking,” the aforementioned copycat approach seems to suggest the very opposite. Even a RIM employee has reportedly already called the OS a “failure.” But, giving RIM the benefit of the doubt, is it already too late even if the company does release a shiny new operating system? I think so. After all, HP’s webOS failed to gain enough consumer attention, at least until the company dropped the price of its tablet so low it was hard to pass up, and Microsoft’s Windows Phone operating system already offers a viable alternative to Android and iOS. It just doesn’t seem like there’s enough room for another operating system right now. It’s sort of like the personal navigation devices (PND) market. I was discussing this article with Jon Rettinger earlier this week and he likened RIM’s BlackBerry 10 operating system to standalone PNDs. Nobody really needs a standalone GPS anymore because most phones already offer a better, more connected driving experience. So, ultimately, why do we need a new operating system from RIM if most people are already satisfied with what’s currently available from other device makers? Worse, RIM’s developers are jumping ship for platforms with greater market share, which could result in big bucks for studios looking to launch the next hit application. How will it reel them back in? Great hardware? RIM already makes beautiful devices. The keyboards are always top notch and its current BlackBerry Bold looks and feels like one of the most premium devices on the market, up there with the iPhone 4S. It’s the software that’s killing RIM, though, so it’s no surprise the company feels that’s where it should look to regain customer interest. Maybe RIM still doesn’t have the right people leading the company. Laziridis and Balsillie are still on the board, and another board member recently made a number of comments that show just how out of touch the company is with the marketplace. In a recent interview with The Globe and Mail, RIM director Roger Martin suggested the company believes that hiring an outside CEO would have destroyed the firm. “So we’re supposed to hand it over to children, or morons from the outside who will destroy the company?” Martin told The Globe and Mail. “Or should we try to build our way to having succession?” It’s also clear Martin doesn’t understand what consumers want. “People were saying we can’t make powerful phones like Apple,” he argued. “Yes, we can, but we couldn’t believe consumers would put up with that kind of battery inefficiency and that kind of network inefficiency.” Well, consumers don’t seem to be complaining too much about the iPhone’s battery life and “network efficiency” isn’t exactly a billboard tagline that’s going to send droves of customers after your product. Worse, even if RIM “can” make powerful devices like Apple, its new BlackBerry 10 operating system isn’t expected to launch until late this year at the very earliest. One has to wonder how much further competing operating systems will progress by that time. Ultimately, I don’t think it’s going to matter how great or how fluid or how amazing BlackBerry 10 is. webOS was arguably one of the most intuitive and smooth user interfaces ever made available to consumers and yet they didn’t gravitate away from iOS or Android to adopt it. What can RIM do that HP didn’t? Offer phones at lower prices? Sure, but then the company will have to take a hit on the build materials that make its high-end devices so solid, and I don’t think it can do that right now. Maybe RIM will spend millions on marketing, but RIM’s marketing department seems just as out of touch as its leaders. The will.i.am campaigns haven’t ever impressed me enough to want a BlackBerry, for example. Worse, spend enough time in a crowded restaurant and eventually you’ll hear someone say they have “finally ditched their BlackBerry” in favor of a new and more powerful phone running another OS. 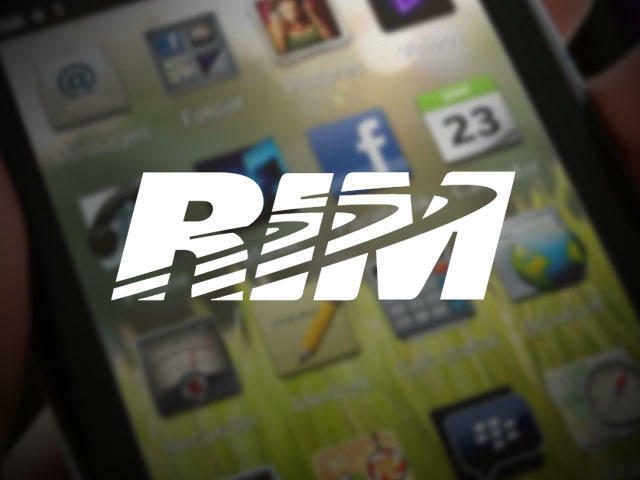 How will RIM regain the lost confidence in its brand and ability to please its customers? I want to see it happen, I’m a huge fan of the company, but the firm has a much bigger uphill battle to climb than simply releasing a redesigned operating system. In order to succeed I think RIM needs to launch a killer brand new operating system, on time, with a killer device, and with a ton of developer support. Ultimately, RIM needs to start from square one all over again. I dont think its customers or its investors have the patience to wait.